In the wake of the tragic death of homebirth advocate Caroline Lovell, there have been several nonsensical claims put forth by homebirth advocates battling to avoid cognitive dissonance. Analysis of these nonsensical claims reveals the same error at the heart of each: an inability to do 4th grade math. I hold a sliver of hope that perhaps people might take from this weeks media that twenty mothers died after birthing in hospital last year and that something might be done about this. Wouldn’t it be wonderful if some attention were given to this pressing matter, hospitals forced to practice evidence based midwifery and medicine in every maternity ward so that hospital birth might one day be as safe as homebirth. … Sadly many women died in Australian hospitals in childbirth last year – should we ban hospital births, too?” Michelle Meares, Homebirth Australia spokesperson said. So let’s see if I get this straight: 20 is a bigger number than one so hospital birth leads to more deaths than homebirth? Do these women have any idea how foolish they look? Apparently not. 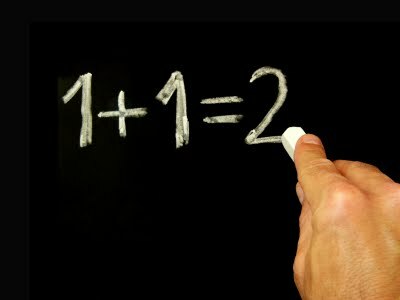 Therefore, in the interests of basic numeracy, I offer the following simple arithmetic lesson. So let’s get back to maternal death rates in Australia. Yes, there were 20 maternal deaths in the hospital last year. Since nearly 300,000 women gave birth in the hospital, that’s a death rate of 6.6/100,000. There was only 1 maternal death at homebirth, but there were only 750 homebirths. That’s a death rate of 133.3/100,000. That’s a maternal death rate at home birth more than 20 TIMES HIGHER than the maternal death rate in the hospital. We can refine our calculations further. Most maternal deaths in the hospital are due to pre-existing medical conditions or serious complications of pregnancy. The maternal death rate for low risk women is probably in the range of 1/100,000 or lower. According to homebirth midwives, this is the first maternal death in 15 years for a homebirth death rate of 9/100,000. Obviously, that is 9 times higher than the hospital death rate for low risk women. Any way you look at it, homebirth is more dangerous for mothers than hospital birth. The “argument” advanced by Homebirth Australia doesn’t show that hospital birth is more dangerous than homebirth, but it does make the case that people who can’t even do grade school arithmetic should not be entrusted with the lives of pregnant women and their babies. I’ve just come across this article looking at another on this site, but I couldn’t help noticing the absence of statistical comparability between the two datasets cited above, particularly given a sample size of one (1) is used. Without getting too involved in a statistical analysis, a constructive way to look at the two data sets above would be to consider how a nominal error factor in each dataset might influence the results. If one assumes the minimum possible error of +-1 in each case you end up with death rate of between 0.006% and 0.007% for hospital births or between 0.000% and 0.267% for home births. What this means is that, in statistical terms, looking at the cited data above in isolation, it isn’t reasonable to draw a conclusion about the relative safety of homebirths vs hospital births. My point really is to advocate caution when comparing datasets where the sample sizes vary significantly, and particularly to suggest avoiding using datasets consisting of a single point of data to draw conclusions.